The New York Police Department (NYPD) participated in a hate-crimes forum last week with elected officials and community leaders in Queens, New York City, as recent police figures show an uptick in the number of such crimes committed against Asian Americans. New York state Assemblyman Ron Kim, a Democrat from Queens whose district is home to many Asian Americans, told NBC News that the purpose of last Thursday’s forum was to give attendees a better understanding of how hate crimes are classified. In attendance were the NYPD’s commanding officer and detectives of the Hate Crimes Task Force, the executive officer of the Special Victims Unit, and detectives from the Community Affairs Bureau, a police spokesperson told NBC News in an email. “The consensus is that there is a severe underreporting among Asian Americans of crimes,” Kim said, adding that distrust and language barriers are two reasons why some Asian Americans are reluctant to call police. The meeting, which attracted approximately 50 people, including some community residents and representatives of non-profit groups, comes as police investigations continue into two high-profile attacks on Asian Americans. The first occurred on Nov. 29 when playwright David Henry Hwang was stabbed in the neck while walking home from a grocery store in Brooklyn. The second happened in Queens on Dec. 16 when 16-year-old Jia Jia Liang, an exchange student from China, was slashed across the neck and cheek while on her way to school. No arrests have been made in either case. Just last month, members of New York’s congressional delegation sent a letter to the NYPD expressing concern over what they said is a rise in crime against Asian Americans. In it, they wrote that "Asian/Pacific Islander" was the only category for which the percentage of victims increased for every type of crime. The data was taken from yearly NYPD reports between 2008 and 2014 that categorize victims, suspects, and arrests according to race or ethnicity. A comparison of the 2008 and 2014 reports, titled "Crime and Enhancement Activity in New York City," shows an increase in the percentage of Asian-American victims of misdemeanors and felonies, though the percentages fluctuated within those years in some crime categories. According to the U.S. Census, roughly 12.7 percent of New Yorkers — and 25.8 percent of Queens residents — are Asian. For all of 2015, there was just one hate crime recorded citywide against an Asian American, an NYPD spokesperson said. By contrast, this year has already seen a total of three as of Sunday, police said. What frustrates Asian Americans, Kim said, is that members of other communities often label an incident a hate crime, and then it’s up to the authorities to show it is not one. In New York, an offense is considered a hate crime when a victim is chosen because of a belief or perception about his or her race, religion, gender, sexual orientation, disability or age, according to the penal code. That designation increases the severity of penalties for many charges. 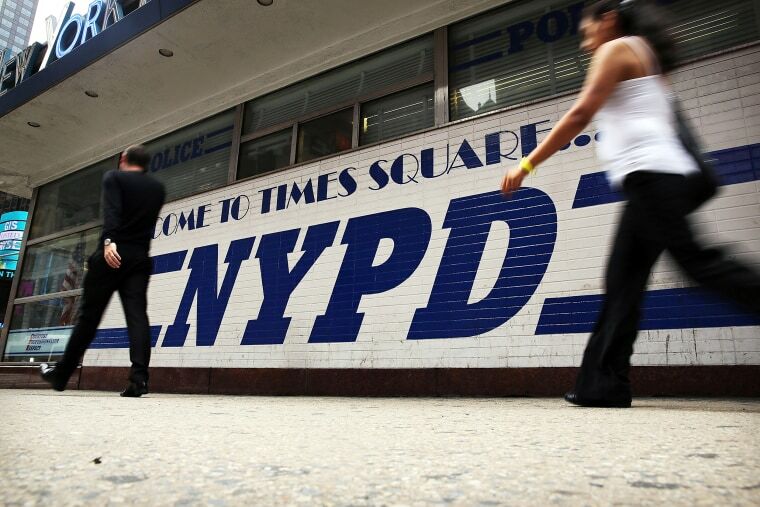 The NYPD said the on-scene executive performs an initial assessment to see if the incident is bias-related, and then an investigation is conducted to determine if it is a hate crime. Karlin Chan, senior director of the Chinese Freemasons, which co-hosted the forum, told NBC News that Asian Americans often don’t call the police unless they are seriously hurt. He said many view reporting a crime as a hassle, whether it’s having to wait for an interpreter when they dial 911 or going to a station house to fill out a police report. That mindset needs to change, Chan said, especially if police are to have accurate statistics about crimes being committed against Asian Americans.